The black pepper and paprika provide some blackening and the brown sugar caramelizes during cooking to create a glaze on the meat. This is the easiest and most delicious meal to make-ahead. 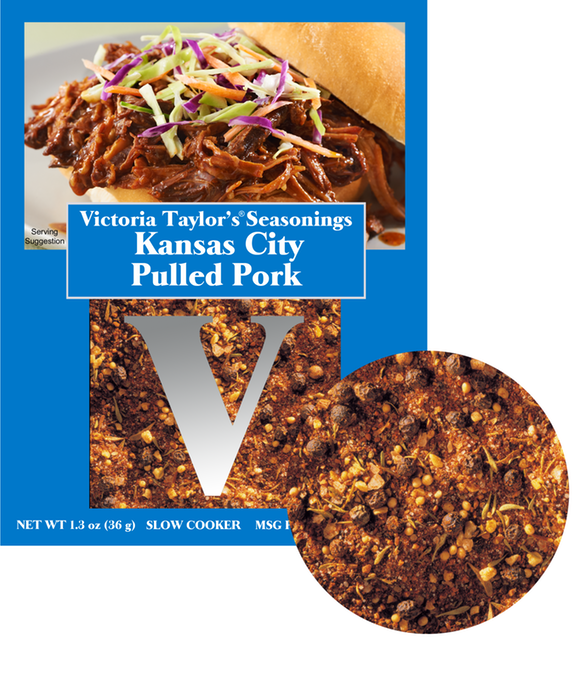 This single use packet is designed to make the recipe for Kansas City Pulled Pork which is included on the back. Ingredients: Spices and herbs including paprika and mustard, sugar and dry molasses (molasses, wheat starch, soy lecithin), salt, dried garlic. No MSG*, and free of any peanut products. *Even though there is no added MSG in this product, it can still contain free glutamates.